Y-T Industrial Co., Ltd. was established on Nov. 20, 1984. On the principle of providing the best quality products and service, we built our company and today we enjoyed a good reputation in the shoes and foot care market. There are over 500 employees in our factories at Taiwan, Kwangchow, and in the resent years, we have done business with Converse, Reebok, Rockport, Foot joy, Asics, Nike, Simon,...etc. We are confident we can meet the requirements of all customers------reasonable prices, punctual shipment, and quality control. Our company is your best choice. Don’t hesitate or you will miss. Looking forward to your enquiry. 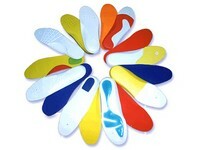 Our product series including (1) sport and casual insoles- silicone insoles, healthcare insoles, foam cushion for shoes, heel lifts, inch insoles, shoes insoles, gel insoles, orthotic insoles, heel cups, foot & light weight insoles, TPR heel cushion & light weight insoles, forefoot reinforcement insoles, arch & heel reinforcement insoles, poron heel cushion insoles, gel cushion & arch support insoles, poliyou anti bacterial & air flow insoles, shock absorbent & high elastic insoles, sweat absorbent & children insoles, PE reinforcement, latex & orthopedic insoles, EVA wedges, air flow Insoles, PU cushion insoles. (2) office furniture accessory- office seat cushions. (3) air & gel bladders, air bags, shock absorbent products. (4) mattresses & mat products- yoga mats, PU air bags, home care products mattresses, massage cushions, ortho tech products, door mats, outdoor mattress, gel bags, cushion pillows. (5) automobiles accessories- car seat cushions. (6) animals & pet supply- pet mats. 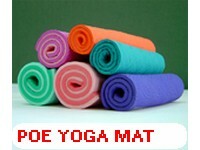 (7) sports goods- swimming boards, mattresses, EVA beach combers and sandals, exercise & yoga mats, elastic & breathable mats, Polyolefin elastomer ( POE) yoga mats, yoga ropes, yoga belts, yoga blocks. (8) silicon products- silicone heel stoppers, silicon heel cups, silicon heel meniscus, silicon metatarsal & knee guard pads, silicone mats, silicon toe accessories, silicon toe separator & crests, gel tubes, silicon toe separator capstan, silicone molds.